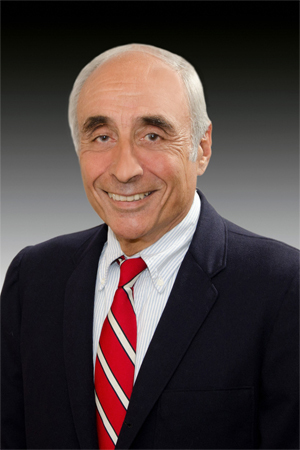 Mr. Iandiorio, the founding partner, has been engaged in the private practice of law since 1965, first with Fish Richardson & Neave of New York and Boston, then in his own firm beginning in 1967. Before that Mr. Iandiorio was employed as a Patent Examiner in the Computer Division of the U.S. Patent and Trademark Office and has a Bachelor of Electrical Engineering degree. He is a member of the bar of the District of Columbia and Massachusetts and is admitted to the Court of Appeals of the First Circuit, the Court of Appeals of the Federal Circuit, the Court of Appeals of the District of Columbia, and the Federal District Court of the District of Massachusetts and the Federal District Court of the District of Columbia. He is a registered patent attorney admitted to practice before the U.S. Patent and Trademark Office. Mr. Iandiorio has lectured and written widely in the field of intellectual property. He is a co-author of The Portable MBA in Entrepreneurship, published by John Wiley and Sons and is the author of the section on intellectual property in the new Encyclopedia of Electrical and Electronics Engineering also published by John Wiley and Sons. He wrote and published his own newsletter Decisions & Developments on issues relating to intellectual property and has written and published New Ideas, Methods, and Products, a series of primers in brochure format on the same topics. Mr. Iandiorio has been actively involved in fostering the creation and growth of small businesses and high-technology companies. He was chosen as the SBA's Lawyer Small Business Advocate of the Year. He was a long time Director and Treasurer of the Massachusetts Technology Development Corporation, a venture capital fund; Chairman and a longtime Director of the Smaller Business Association of New England; Chairman of the governor's Advisory Council on Small Business; Chairman of the Small Business Development Committee; a member of the Massachusetts Small Business Advisory Council and the Science and Technology Advisory Board, as well as a member of the Advisory Board on Intellectual Property at the Franklin Pierce Law School and was a founding member of the Steering Committee and a Sponsor of the Worcester Polytechnic Institute Venture Forum. He is a recipient of the IEEE United States Activities Board Regional Professional Leadership Award and was a co-founder of the IEEE Entrepreneur's Network.